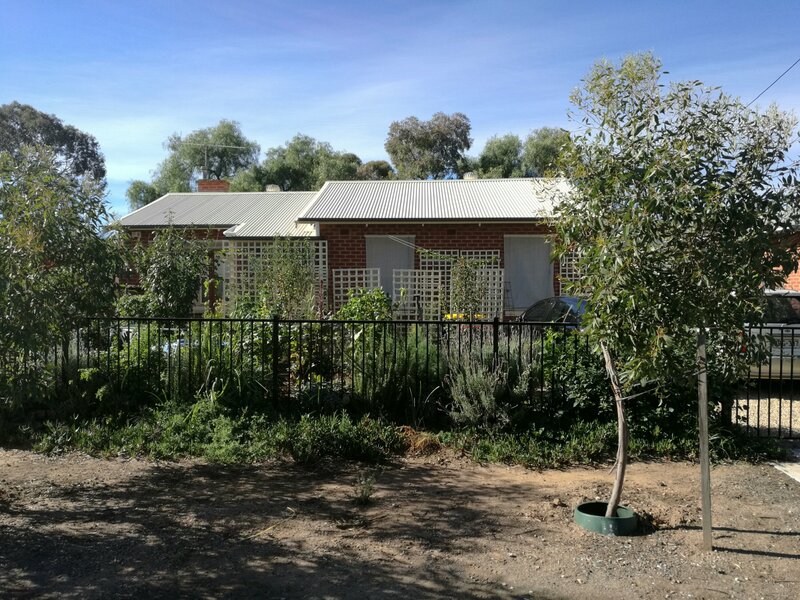 Anyone who knows our place will know that our garden is bare….you can see the house from the street and all the summer trellis stand empty. 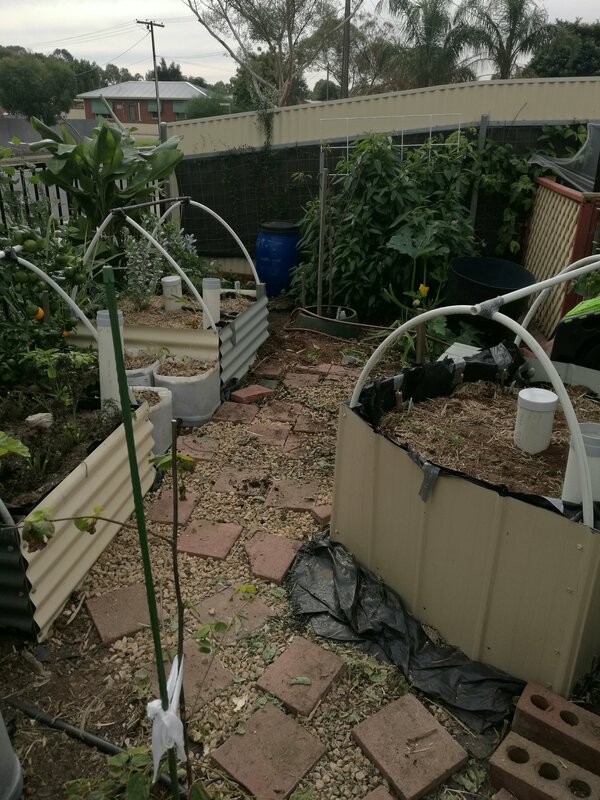 Well, it’s all relative – we probably still have more food growing than a small suburb, but compared to the lush growth from a long summer with plenty of rain, it’s a desert! I spent yesterday overworking the mulcher, the Lab Lab beans gave us a wheelbarrow full of finished material alone! All is not lost though, there are a tonne of winter veggies just poking through the soil, mostly Japanese vegetables, as I’ve found they grow well and have less pest problems than our usual European fare. There’s Daikon, Kaiilan, Turnips, Shinguku and Mibuna planted in the main wicking bed, Mizuna, onions, garlic, shallots, Pak Choy, Wong Bok and Kale in the others. Soon I’ll be putting in Mangel Wurzels and potatoes, then I know there’ll be more to plant later as the season progresses. This will be the last year growing many of the annual veggies in the front, they will be moved to the upcoming aquaponics. I’m doing this so we can grow higher value and larger perennials and medicinal herbs in the front. Also, it means that we don’t have to disturb the soil much anymore and it will improve of its own accord as time passes and the chooks and worms have their way with it. I’m looking forward to the winter slow down so that I can do more writing, blogging and maybe a couple of magazine articles. Mostly though, I’ll be studying herbalism in more depth. It’s going to be a great winter!